Are you looking for Keratin Protein Treatments in NYC? If so, LE Salon NYC has years of experience providing some of the best keratin protein treatments in New York City. By having a keratin protein treatment, your hair will regain the strength and beauty that you desire. Keratin is a protein that is naturally in your hair. The treatment puts protein back into the hair, which is often lost due to age or chemical services. Keratin protein treatment is more of a restorative treatment as it strengthens the hair shaft and makes hair more resilient. Since keratin is essentially rebuilding the damaged areas of the hair, clients can expect to see an increase in shine, less frizz, and an overall easier styling process. Every hair type benefits from keratin treatments. It makes the hair more lustrous and the color looks richer and lasts longer. As a result, your hair will look younger. Our organic keratin protein treatments is a system free from formaldehyde, as well as the entire bevy of nasty chemicals commonly included in keratin treatments. Formulated with cysteamine, natural keratin, as well as a collection of natural and organic extracts and oils, our organic keratin protein treatments will help strengthen, straighten, and naturally relax frizzy or out of control hair. A technically complex treatment, our process will help your hair “re-learn” the way it naturally falls, leaving you with a flawless and relaxed appearance. Our expert hair technicians are schooled in the most efficient, precise, and safe methodology for application of keratin protein treatments, so when you come to Le Salon, you know you’re receiving the highest quality service in the entire industry. Watch as unmanageable or frizzy hair is transformed to sleek, smooth, and shiny perfection before your eyes – and all with the help of natural and organic ingredients! At LE Salon all our products are sulfate and sodium free. Additionally, we analyze the texture of each clients hair before and after and recommend aftercare products that are best suited to take care of your individual concerns. We have 4 different types of organic shampoos, conditioners, and treatments that are all appropriate to use after keratin treatments. These shampoos include: Aqua Boost, Status Quo, Power Build and Keep the Curl. A Keratin Treatment is a hair treatment that rejuvenates hair that frizzes or curls. The treatment works because keratin is infused inside the cuticle. As a result, your hair will be much more manageable to style. How often can I receive a keratin treatment? Treatment can be done every 4-6 weeks. Treatments usually last for 3-5 months. This can vary based on your lifestyle and how well your hair is maintained. Theoretically, after you heal the damaged hair, which will take a couple of treatments, and then maintain appropriate hair care, you should not need additional keratin treatments. Upon consultation, our experts can evaluate your hair and provide you with a price. At LE Salon NYC, we know that looking great shouldn’t come with a high cost. 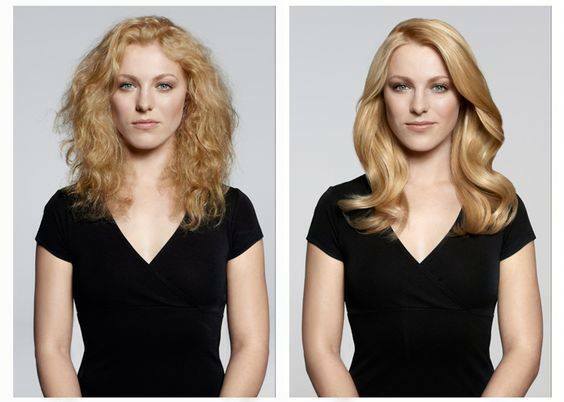 This is why we offer affordable prices for our keratin protein treatments. For more information on keratin protein treatments or to schedule your appointment, give our Midtown location a call at (212) 949-6693. Love this place! It's a tiny salon which is run by expert hair stylists. I was glad to see that they use organic products and spend enough time with you to understand the kind of style you want. I had a great first haircut. I am definitely heading there again. People stop me on the street to compliment my cut and color. The organic products help your hair recover from over treatment and the keratin treatment is to die for. These guys are professional and reasonable. Great salon! I always get a great haircut in an inviting environment. I highly recommend buying the organic shampoo and conditioner, which is much better than anything from the drugstore. Ashraf, the owner, is a sweet and engaging woman. Ashraf is a genius. Great haircuts, as good as at the "top" salons for much less $$. Fabulous keratin treatments which are not harsh and they last a long time. My hair has been rehabilitatedand everyone asks me where I go for hair! Recommended highly. Got organic keratin done from here a few days ago and I'm super pleased with it.. the main lady of the salon is really funny, nice and caring. Le Salon provides professional hair styling and coloring treatments with our unique line of natural, organic, and effective haircare products. We maintain a dedication to providing superior, personalized service, and using safe plant based ingredients. Visit us today for a total hair transformation.